Where did we lose sight of what it means to be a man? As we look around society it’s increasingly obvious that we have lost our way. Men seem to have neglected their responsibilities to teach the next generation of men, leaving boys trying to figure things out for themselves or follow their peers. Adding to the mayhem, more and more kids are growing without a dad (or in some cases even a father figure) to teach them what they need to know, or have someone to cheer them on or coach them. No wonder men in our society are confused and lost when it comes to their roles in society. Mark Batterson arrives with a great book ‘Play the Man‘ to address the issue and start to look at really practice ways to attack this head on. Mark Batterson is the New York Times bestselling author who’s works include The Circle Maker and The Grave Robber, and Pastor of the multi site National Community Church in Washington DC. “Is it a picture book?” I hear you shout from the cheap seats. Okay… men aren’t renowned for their reading skills, in fact it’s something that Mark himself even addresses in his book. I’ve been an admirer of Mark’s writing for years and the main reason is simple ‘readability’ – it’s easy to read. It’s obvious that Mark is well read as he has a real knack of taking a tale and twisting it full of intrigue and natural logic. To this he adds a dash of science and pinch of history. Batterson is the the author for men who want substance, don’t want to read the Encyclopedia Britannica and still want to learn. 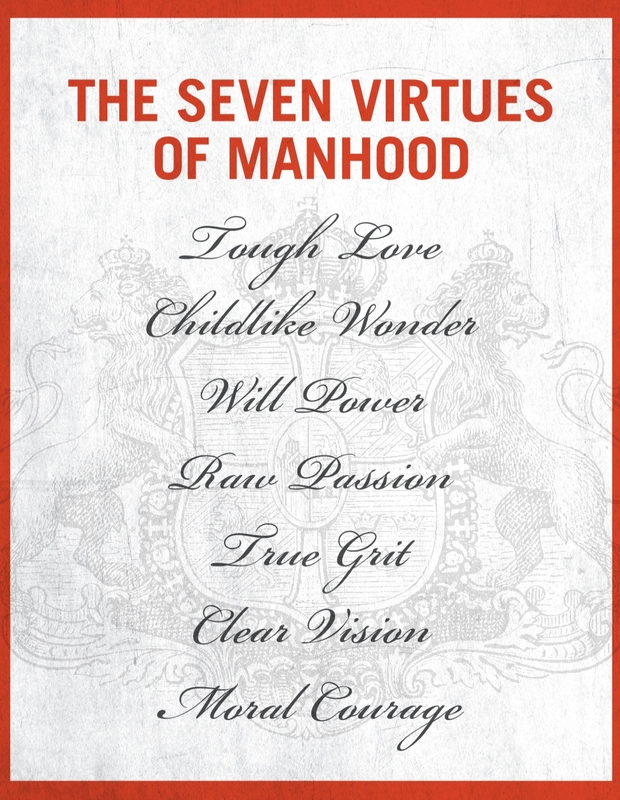 In ‘Play the Man’ Mark uncovers what he calls the seven virtues of Manhood. In ‘Play the Man‘ Mark is able to use his natural storytelling ability to share an anecdote about manhood, the good the bad and the ugly. However the thing that makes this book great is his ability to be able to couple that together with the scriptures, and give really practical ways to teach this to the next generation of men. Let’s be honest, men are really great at avoidance and I wonder if we have lost our way a little because of it? Men are living in some weird void where it seem like we have become the joke of the party. I think it was Scottish comedian Billy Connolly who said “Middle aged white males are the only people you can make fun of without being told off” and he’s right to a point. Men are living in a no mans land where manhood is skewed. The subtitle of ‘Play the Man’ is ‘Becoming the Man God created you to be’. This is more than just a book, it’s a manual for manhood. Imagine if this is shared, developed locally, put into practice and focused on, it could be the start of a manhood revolution that could change the world. The revolution starts at home, in our families and in our communities. Are you willing to ‘Play the Man’? Well it’s like this… People come to a building and the do ‘their business’, they dump their trash and they get rid of anything that makes them feel uncomfortable. They might be lucky to be in a public toilet that plays music, however the station that’s playing isn’t really to their liking. They come, they do their business and leave… and they’ll hold on until next week when they will do it ALL over again. In fact the only people who come into the toilets to do anything else are the cleaners and maintenance staff, who often struggle to keep put with the amount of people who enter while they try and keep them feeling like this toilet is a place to come back to. Some toilets even have a trust of people – volunteers who help with the upkeep of the toilet and who have a heart for the community the toilet is in. Often they don’t even have the power to change much within it. How often have we been guilty of just coming to church and ‘dumping’ our problems on God, complaining about the music that is being played, complaining about how the temperature isn’t to our liking, the seats are uncomfortable and the list goes on? But I wonder, if we ARE the church, then should we be seen as the maintenance staff and volunteers of the trust rather than the people using the facilities? Wouldn’t this change in mindset stop us from thinking that church is “Just a Sunday thing”? I mean, what are YOU doing for the church? How easy is it for us to come up with excuses for only doing church on Sunday in a “you serve me” capacity? Church was never about just meeting on Sunday… in fact church was always about a gathering of people, a movement. How do you look to view your church? Or are you just coming to church to dump on God? Sometimes for something to to come to life you have to let it die… and dying isn’t always easy. For NEEDTOBREATHE (NTB) everything seemed to be going right… they were getting what everyone in the music world would gauge as success. But what they also discovered is that with that comes the pressures of it all… and the band almost collapsed because of it… success almost killed NTB (as shown in the documentary style film ‘Prove the Poets Wrong’). The result was the band redefining ‘success’… they realized they were already successful – as individuals, they didn’t need to prove that to anyone else… so they gave that dream of success driven glory away. They already had a purpose they just needed to re-find it! Everyone wants a miracle, but no one wants to be in a situation where they would need one. Rivers in the Wasteland is the result of that miracle. The album starts of with the track ‘Wasteland’ and NTB are almost defiant in the fact that “If God is on my side, who can be against me”… a slow song to build into a big chorus making way for the second track. ‘State I’m in’ starts off with slightly distorted southern tinged Beach Boy like vocals before rocking into the song in what can only be described as the best Chris Isaak impersonation, a kind of southern rock meets Elvis sound. Beating drums and hand claps keep your foot tapping… in the blues infused southern rocker ‘Feet, don’t fail me now’… it’s infectious, it’s like a southern virus has entered your body and the side effects are a constant foot tapping. It’s a southern blues church experience. NTB have built you up to this point… they aren’t about to take the foot of the throat just yet and ‘Oh Carolina’ is the perfect remedy to keep the declaration of intention going, there is a stomp revival happening here. This is becoming something of a southern release of tension… the best way to come out of tough times… is to let it go and celebrate. NTB at this point ironically ‘need to breathe’ and the album pulls back with great tracks like ‘The Difference Maker’ and ‘Rise again’. The highlight of this reprieve from the stomp revival is that it shines a beam of light on the fact that these are great songs, well crafted, great lyrics. These are great songs without big production and studio tricks… these are songs that stand on merit alone. It was a nice touch adding the track ‘Brother’ as Bear and Bo Rinehart are the brothers responsible for the existence of NTB. It’s a touching tribute and although it may be referring to the obvious connection of these sibling lyrically it extends further than that. The great thing about this track is the bigness of it and it’s soul. Half way through the song, a piano glides over the top of the track paving a way for a new focus of the groove, that makes it more soulful and heralding a soul choir to take the song to a whole other level and give it wings. NEEDTOBREATHE have found their feet. This is an album with soul… this is an album with heart… this is an album with history without burdening you with all the dirty details… this is an album of songs that have been crafted by experience, by pain, by laughter and by faith. This is the most complete album that NTB have brought to the table. There was a Reckoning (their last album) and from the ashes of that a phoenix has risen, that not only has lit a new fire and a renewed purpose for NTB but brought water into a wasteland. NTB have had a weight lifted from their shoulders and it shows. If you are looking for an album that encourages you to be lifted during the driest of places, then stop here for a drink. We’re creating adventures… and the explorers who are curious enough to want to have the adventures. People who care about the people and community they live in. 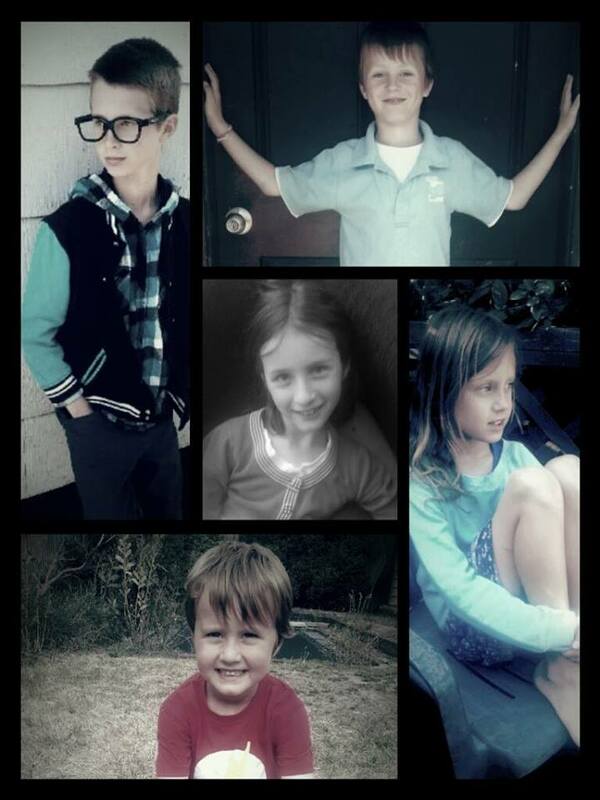 We don’t live in muck and rubbish… but what I am saying is that when there are days that my kids need more attention… or are struggling… they get our attention first. And do you know what??? Because at our house… life is about people not things. But if you pop in and it’s not tidy… it just means we have been investing in other things! Is this what we are forced to believe if we chose to not believe in a God Who created everything? In the beginning was Nothing, and Nothing created Everything. When Nothing decided to create Everything, she filled a tiny dot with Time, Chance, and Everything and had it expand. The expansion spread Everything into Everywhere carrying Time and Chance to keep it company. The three stretched out together leaving bits of themselves wherever they went. One of those places was the planet Earth. For no particular Reason—for Reason is rarely particular—Time and Chance took a liking to this little, wet, blue rock and decided to stick around to see what adventures they might have. While the pair found the Earth to be intriguing and pretty, they also found it a bit too quiet, too static. They fixed upon an idea to change Everything (just a little) by creating a special Something. Time and Chance roamed the planet, splashing through the oceans and sloshing through the mud, in search of materials. But though they looked Everywhere, there was a missing ingredient they needed in order to make a Something that could create more of the same Somethings. They called to their friend Everything to help. Since Everything had been Everywhere she would no doubt be able to find the missing ingredient. And indeed she did. Hidden away in a small alcove called Somewhere, Everything found what Time and Chance had needed all along: Information. Everything put Information on a piece of ice and rock that happened to be passing by the former planet Pluto and sent it back to her friends on Earth. Now that they had Information, Time and Chance were finally able to create a self-replicating Something they called Life. Once they created Life they found that it not only grew into more Somethings, but began to become Otherthings, too! The Somethings and the Otherthings began to fill the Earth—from the bottom of the oceans to the top of the sky. Their creation, which began as a single Something, eventually became millions and billions of Otherthings. Time and Chance, though, were the bickering sort and constantly feuding over which of them was the most powerful. One day they began to argue over who had been more responsible for creating Life. Everything (who was forever eavesdropping) overheard the spat and suggested that they settle by putting their creative skills to work on a new creature called Man. They all thought this was a splendid plan—for Man was a dull, hairy beast who would indeed provide a suitable challenge—and began to boast about who could create an ability, which they called Consciousness, that would allow Man to be aware of Chance, Time, Everything, and Nothing. Chance, always a bit of a dawdler, got off to a slow start, so Time, who never rested, completed the task first. Time rushed around, filling the gooey matter inside each Man’s head with Consciousness. But as he was gloating over his victory he noticed a strange reaction. When Man saw that Everything had been created by Time, Chance, and Nothing, his Consciousness filled with Despair. Chance immediately saw a solution to the problem and took the remaining materials she was using to make Consciousness to create Beliefs. When Chance mixed Beliefs into the gray goo, Man stopped filling with Despair and started creating Illusions. These Illusions took various forms—God, Purpose, Meaning—and were almost always effective in preventing Man from filling up with Despair. Nothing, who tended to be rather forgetful, remembered her creation and decided to take a look around Everything. When she saw what Time and Chance had done on planet Earth she was mildly amused, but forbade them to fill any more creatures with Consciousness or Beliefs (which is why Man is the only Something that has both). But Nothing took a fancy to Man and told Time and Chance that when each one’s Life ran out, she would take him or her and make them into Nothing too. And that is why, children, when Man loses his Life he goes from being a Something created by Time and Chance into becoming like his creator—Nothing. What is the sign of a great songwriter? I think it’s when the artist can release an album that when stripped back stands on it’s own merits, both lyrically and melodically… and still makes you feel like it’s relevant and forward focused. This is why I love Luke’s approach to his music “I try write each song as if it’s my last” says Dowler. Lets be honest, with all the hype of album releases and hit songs and the occasional craze hit single, isn’t the thing the music buying public is most interested in songs that connect to them? These new songs from Lukes newest EP ‘West’ are the best he’s produced yet. The EP starts of with the pulse of the bass drum , and some percussive clicks, before the familiar groove of the acoustic guitar pull the song ‘Revelation Firewater’ in. ‘Good Enough’ has to be my favourite track on the album… this is the type of track that Luke fits best in. Sure, he can do other styles well (as this album will show) however this type of track is where Luke is G.O.L.D. ‘Good enough’ is a heart felt track that has a swag of a southern song, the gospel feel church and a whole heap of soul… it starts off beautifully with an acoustic guitar and Luke lamenting “You’re taking me for a ride, but I’m doing all the driving”. It’s a soul searching song that leaves Luke asking “Let me know when it’s good enough for you”… as the song grows so does the soul of the song. ‘Hold up the Sky’ a simple bluesy track that again showcases Dowler’s craft of songwriting. This is the most stripped back track of the album and is what Luke is all about. This is heart and soul. This is about love. This is about adventure. This is about creating. This is about holding on to the things you treasure the most. The EP finishes with what I think is a bit of an odd choice. ‘Halfway’ is a track that is heavy on the drum machine beats and is a bit of a distraction from the path the other tracks have laid before it. While I can see the need to try and highlight the fact that Luke is multi-dimensional and can do a variety of styles… it just feels a bit out of place… It’s great that Luke tried to push new ground, however what Luke does best is the heart felt, soul tinged melodies that connect with you when you least expected. 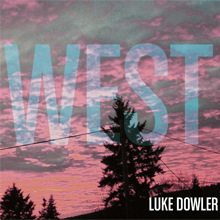 And so ‘West’ seems to show a new ‘all grown up’ version of Luke Dowler. Luke has discovered his groove, his soul and his heart and this is the most complete album from Luke yet. If this is the new direction that Luke is going to be going in, I really look forward to see more of it.